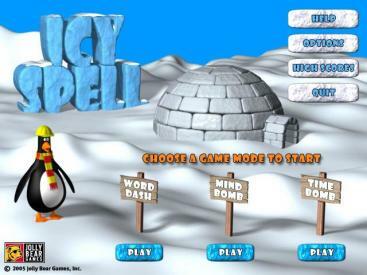 My Family Fun - Icy Spell Help Icy the Penguin to build his igloo! 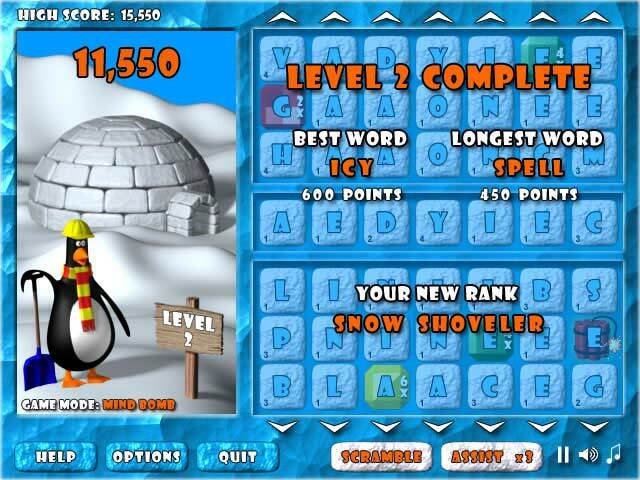 Help Icy the Penguin to build his igloo! 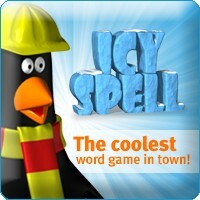 Icy Spell, the coolest word game in town! 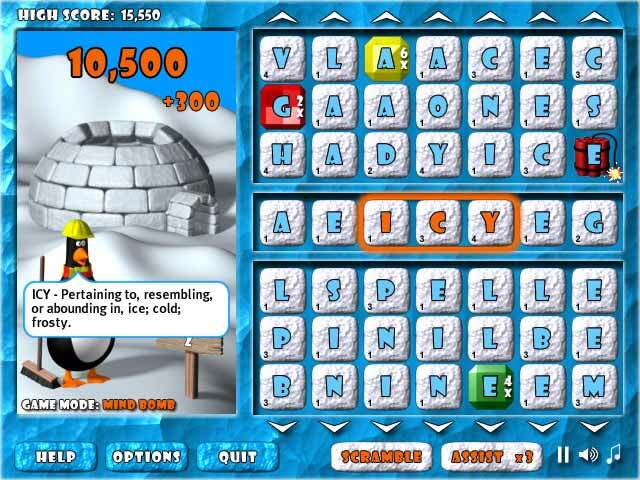 Make words out of the scrambled ice-brick letters to help Icy the Penguin build his igloo. 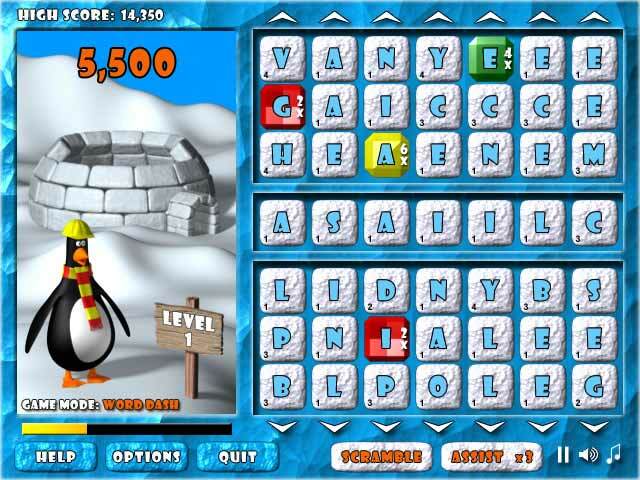 Three exciting game modes - Word Dash, Mind Bomb, and Time Bomb - are sure to challenge your mind and your speed. Have fun and learn something too: Icy Spell features an extensive word list PLUS full dictionary definitions.